It’s Summertime and you know what that means. It’s time for graduations, vacations, and weddings. Which means lots of pictures are going to be taken and you are going to need frames to keep these memories safe. CSD Framing has a reputation for being a high-quality custom framing company specializing in Sports memorabilia. But that is just scratching our surface. Anything that a customer needs to be framed, we can do it. By sitting with our production team, we custom frame each piece to fit their every desire. For example, did you or someone you know graduate or receive a certification? 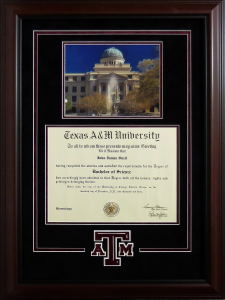 Having their diploma or certification custom framed would make a great graduation gift! Take a look at the example below. Have some family photos that you would like to display at home? CSD Framing has got you there too. Bring in your fond memories that you would like to keep safe, and let us blow you away with the final product. And of course, Summertime calls for tons of celebrations. Make sure you get a unique custom frame for the banquets, showers, and weddings. 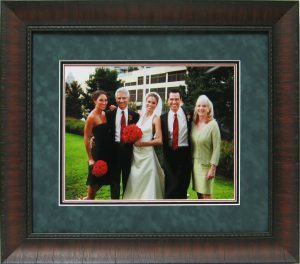 CSD wants to make sure that the pictures you want framed help bring out the feelings the customers felt that day. It’s our job to highlight the happiness in those pictures by offering a one of a kind custom frame. You see, CSD Framing is not all about sports. We’re about memories, and preserving those memories. You name it and we can frame it. And CSD’s production team are always looking for ways to create unique custom framed items not found anywhere else. 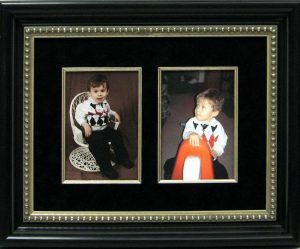 Be sure to visit our site www.csdframing.com to get started on custom framing your favorite memories.